Illahe Studios and Gallery on B and Fourth Streets in Ashland will host a “Special Poetry Event” as part of their Poetry in the Neighborhood series on Thursday, June 13th at 7:00 p.m. San Francisco Renaissance/Beat Poet David Meltzer and Julie Rogers, a long time Ashland resident now living in the SF Bay Area, will perform together, something they’ve been doing since 2010. As well, David Meltzer will offer an afternoon class at Ashland Library in the Guanajuato Room on Saturday, June 8 from 1 – 4 p.m. entitled “Basic Mysteries”, focusing on poetry and poetics. Pre-registration ends May 30. Julie Rogers began reading her poetry in SF cafes and bookstores in the late 1970s. At that time she lived on the fringe as a “crew member” of the Renaissance Pleasure Faire at Black Point in Marin County. She met Ven. Gyatrul Rinpoche in Ashland in 1983, and in 1985 settled in the Ashland area to be near Tashi Choling Temple, a Vajrayana center, where she studied and practiced for almost three decades. Rogers published several chapbooks, co-edited an anthology of Buddhist poetry, and co-facilitated a writing workshop for four years at her home on California St. She was very active during the era of The Ashland Poetry Group during the 1990s, read frequently, and published her poems in various local anthologies and mags such as Hesperides, JPR Guide to the Arts, The Siskiyou Review, The Suspicious Humanist, Lithiagraph, and Rogue’s Gallery. She has been a featured poet in local cafes, bookstores and galleries, at Carpenter Hall, Ashland High School, and at SOU and Bloomsbury Books. After training as a hospice volunteer with Ashland Hospital, she wrote in Instructions for the Transitional State, a concise guide in the Buddhist tradition for the time of dying, published in 2007 by Vimala. She has read widely in California and Oregon, on public TV, JPR, and on Portland and Eureka Public Radio. Following two years on the road and two pilgrimages in Asia, in 2010 she and David Meltzer met in San Francisco, and they married in 2011. Last year, Wild Ocean Press in SF published a collection of her poetry spanning thirty years of work, House of the Unexpected. Many of the poems were written in Ashland, the Colestine Valley, in Hornbrook, and along the Klamath River. See her website at www.julrogers.com. Most recently, Meltzer and Rogers recorded a CD of their poetry with improv jazz saxophonist Zan Stewart, yet to be released. 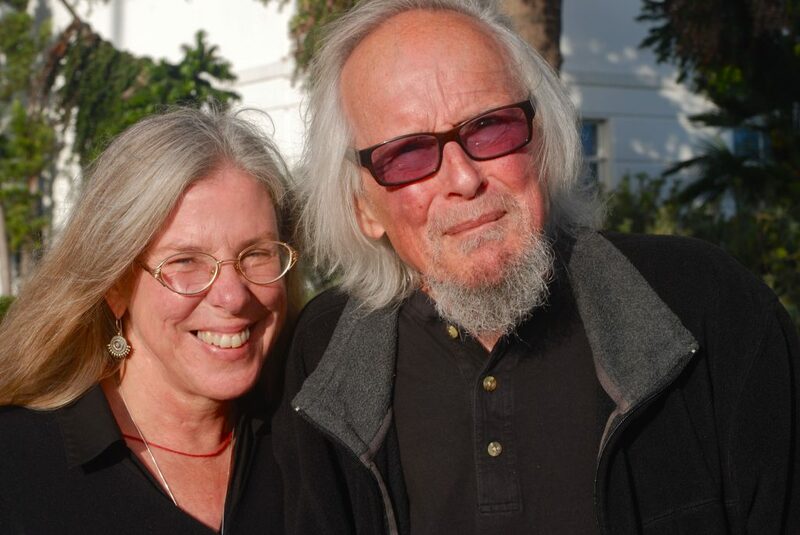 They’ve begun a poetry salon in Berkeley, CA, and both teach privately. Now, the couple brings their combined decades of writing poetry to share with Ashland. At Illahe Gallery, both poets will read individually as well as in a manner of duet, referred to as “fours” by Meltzer, a jazz term. This couple of poets invites you to join them. For further information and to pre-register for Meltzer’s Ashland class, email julmind@mtashland.net.